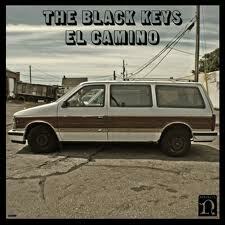 This might be The Black Keys version of ZZ Top’s Eliminator. Not that it sounds like ZZ Top, but that it could be the breakthrough album that brings them to big time rock and roll fame. The Black Keys remind me a bit of AC DC in that they have been making the same album for the 10 years – perfecting the sound with each album (that is a complement). Just to make sure I re-listened to Rubber Factory. Production values have increased since then, keyboards have been added, and background vocals added, but ultimately this is classic dirty white-boy 70’s bloose. The Black Keys hook up with Danger Mouse a few albums ago was a match made in heaven. D-Mouse add just a enough sugar and cream to the Keys’ bitter coffee to make it desert. Ultimately the Keys’ do not sell their souls, but sweeten their sound in a way that makes it more original – more contemporary. An appropriate nod to the hip hop culture that they rightly fit into despite being a rock and roll band. My only disappointment is the cover art. I love El Caminos and instead the album is littered with great photos of mini vans. I was really hoping for a montage of the real deal. But despite that, it is a cleaver analogy of the album. Each mini van is old slightly rusted, but sparkling clean. The epitome of a un-cool suburban vehicle, yet so practical. 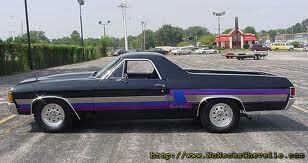 Hey someone throw me the Keys!